Ever since Health Insurance Portability and Accountability Act has been introduced, it has been under a lot of speculations and doubts. Most people have a lot of misconceptions about HIPAA. Here we have tried to answer a few frequently asked questions and describe how Docsvault can help ensure HIPAA compliance for all organizations that deal with health information. 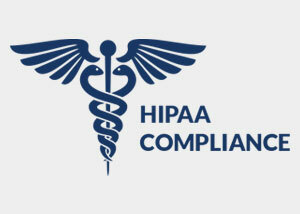 HIPAA states that only certain authorized individuals can access sensitive information. Docsvault offers user and group-based security features as well as folder-level rights to ensure compliance with HIPAA. Docsvault allows defining rights for user / group such as creating cabinets, emptying recycle bin, running audit queries, etc. This feature meets HIPAA’s rule of protecting data from unauthorized modification and deletion. It is important to track all changes made to health data. Apart from tracking who captured or changed data and when, it is also important to record what changes were made. This can be done through version control. Docsvault records all versions of a particular document so that all changes made to it can be discovered from the time of its creation until its end of life. Docsvault helps identify or discover user activities and system errors when they happen through email notifications. HIPAA requires that companies have policies to protect data from intentional or unintentional modifications or deletes due to user activities. Docsvault protects your data from unauthorized user access through instant email notification when someone is trying to access, modify or delete your documents. The most important requirement for HIPAA compliance is to protect data from all sorts of threats such as natural calamities and technical failures. Docsvault offers automatic backup that takes full and incremental backups on a regular basis so that this foremost obligation is taken care of. HIPAA Administrative Safeguards also require covered entities to have a plan for secure access to personal health care information under emergency conditions, as well as a plan for recovery from a disaster situation. Docsvault saves all the data in its original format so that when you restore it you get your files immediately and can start again without a hitch. This part deals with the ability to transmit patient information securely. HIPAA requires that organizations implement security measures to prevent unauthorized interception or access to sensitive information that is being transmitted over a network, whether it is an internal network or public network like the internet. They need to also ensure that data is not corrupted during transmission. Docsvault routes documents safely within the organization. Remote web access and Shared link feature can be used to access and share documents securely over a public network. Both these features protect data integrity during transmission.